Disastrous tech CEO and failed Senatorial candidate Carly Fiorina can finally add a new line to her résumé: Failed presidential candidate. While Carly made some waves early, she has spent the last few weeks in the political media equivalent of the witness protection program, stepping infrequently out of her anonymity to complain that no one was paying her any attention. And after statistically irrelevant results in Iowa and New Hampshire, the woman who laid off 30,000 Hewlett-Packard employees and was forced out by the company&apos;s board, began to feel that familiar feeling of impending doom. And after her husband was seen yesterday taking a smiling selfie with Carly&apos;s mortal enemy, Hillary Rodham Clinton, we are assuming that Carly took a hint from the Universe and decided enough was enough. This campaign was always about citizenship—taking back our country from a political class that only serves the big, the powerful, the wealthy, and the well connected. Election after election, the same empty promises are made and the same poll-tested stump speeches are given, but nothing changes. I&apos;ve said throughout this campaign that I will not sit down and be quiet. I&apos;m not going to start now. While I suspend my candidacy today, I will continue to travel this country and fight for those Americans who refuse to settle for the way things are and a status quo that no longer works for them. Just because Carly failed to win this political campaign using politics doesn&apos;t mean that she will go gently into that good night. She&apos;s still got some of that "Go Away" money from HP left in the old bank account, so she&apos;s more than able to fly around the country torturing Hillary, for whom her hatred knows no mortal bounds. To young girls and women across the country, I say: do not let others define you. Do not listen to anyone who says you have to vote a certain way or for a certain candidate because you&apos;re a woman. That is not feminism. Feminism doesn&apos;t shut down conversations or threaten women. It is not about ideology. It is not a weapon to wield against your political opponent. A feminist is a woman who lives the life she chooses and uses all her God-given gifts. And always remember that a leader is not born, but made. Choose leadership. Happy trails, Carly, we&apos;ll see you around - and because you still haven&apos;t managed to nail down a full-time gig - we&apos;re certain of it. 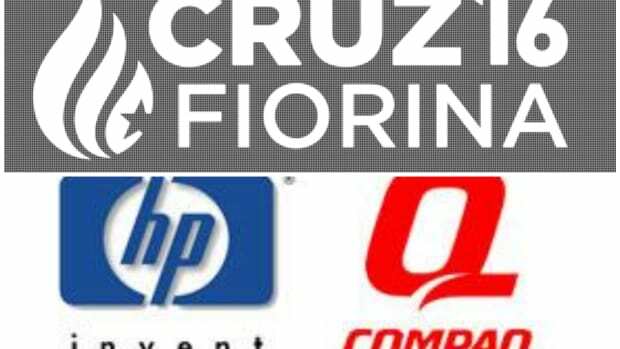 Relentlessly Unemployed Carly Fiorina No Longer Understands The Meaning Of "Successful"
If Carly thinks the HP/Compaq merger was a major success, she must have loved the Bay of Pigs. One might even say that she's offensively dismissive of the Chinese economy in general. Carly Fiorina is up for another job she'll never get. She can't hold a CEO job or win a Senate seat, so the only real option left is the White House. Nothing pisses of The Donald more than joshing about his undergrad degree from the famed MBA program. It's officially time to stop re-writing that HP narrative, Carly. This will not help fundraising for The Fiorina School of Business Management. This week on "The Apprentice: Iowa Edition."